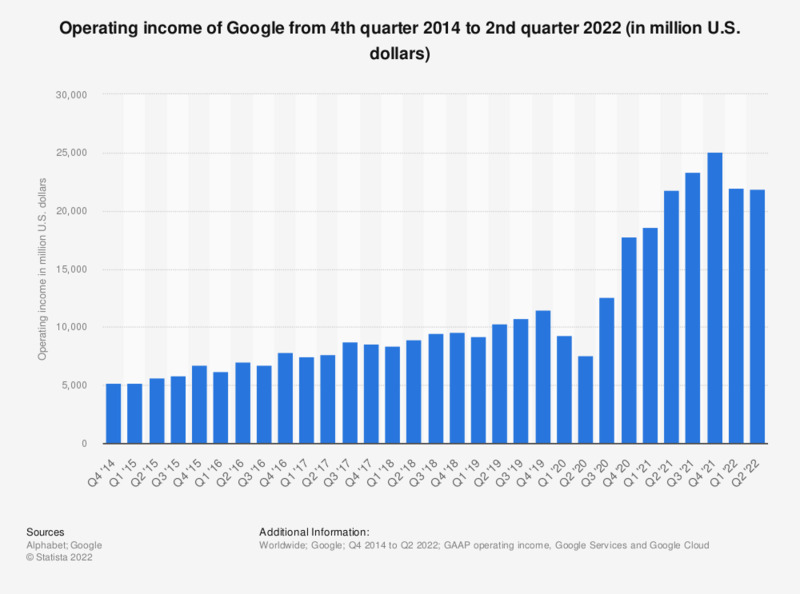 This timeline shows Google's operating income as of the fourth quarter of 2018. In the most recently reported period, the California-based web company had an operating income of 9.7 billion U.S. dollars. Google operates under the parent company Alphabet Inc.
Due to the company restructuring under new parent company Alphabet, Google net income is no longer reported separately as of Q4 '15. Earlier values have been restated by Alphabet. Google's company slogan is "Don't be evil." Is Google evil? Does China represent Economic Threat or Opportunity?